I use FCOIS to hide items stored on chars for later use like e. g. incomplete sets. These items are tagged with the first dynamic symbol and then hidden in the inventory by activating the first filter button. Recently I noticed that some actions disable this filtering so that all items are displayed. In this state, the fiter button changes it's color and tooltips are correct, but the filtering is not updated. Closing and reopening the inventory does not restore the filtering. Opening a crafting station, a merchant or the bank restores the filtering. This happens if the filter is enabled or disabled before the action. One of these actions is enchanting an item in the inventory. I noticed the same when receiving the reward from one undaunted quest npc, but it does not occur on any quest reward. 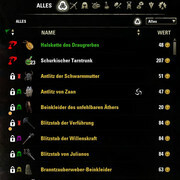 E. g. when receiving the reward of an Alchemie wirt, the filtering is not disabled. So enchanting might be the safest way to reproduce the bug. I use the latest version of FCOIS and the required libraries. Other addons with FCOIS function usage enabled are DoItAll and IIfA and CraftStore Fixed and Improved (is not on the known list, but I think it uses FCOIS, too). Hope the info helps to track down the issue. Is this correct? If not, please provide a list like above how to reproduce this. yes this is exactly how I can reproduce the error every time. 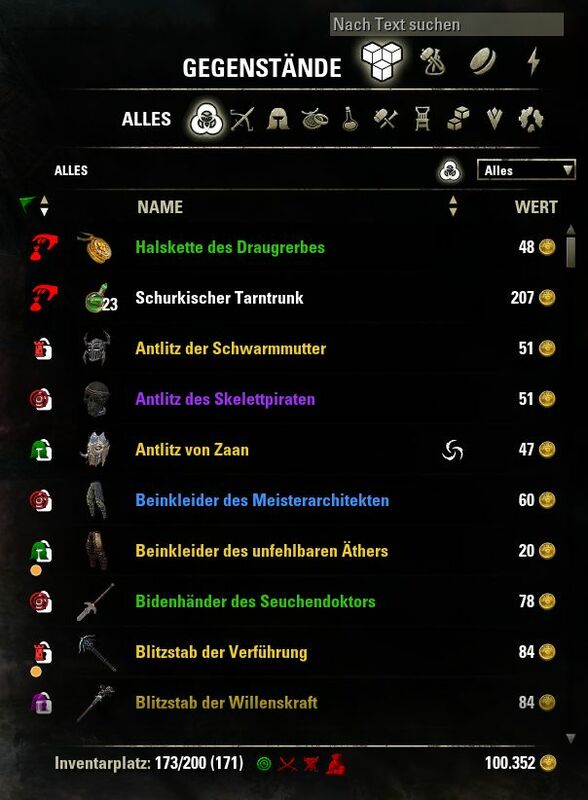 I used looted white glyphs and found armor in the normal inventory window and in the trash window for enchanting - did not make any difference. Error You are not the owner,team member or an admin of this portal. the bug appeared again - this time charging an empty weapon. You migth notice, the normally moved FOCIS Icons are reset, too. So perhaps the filtering function uses it's default values instead of "dynamic filter 1 on" and Icons shifted by 22.